This activity combines literature with science as a fun way to show students how important it is to make good observations in science. 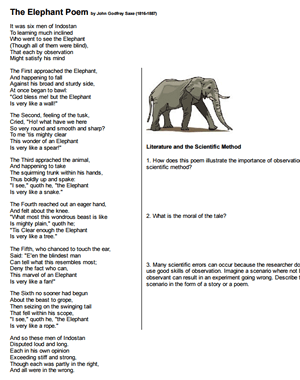 The poem, written by John Godfrey Saxe and is about six blind men who all attempt to describe an elephant. Each one touched only one part of the elephant and developed a very different idea of what the elephant must look like.